Here are a few stories from our patients. If we can help them, then we may be able to help you. Dr. Farah is great! Friendly, funny and accommodating. I called on their “paperwork” day, when they normally have no appointments, as I had thrown my neck out. He told me to come on by right away and I’ve since seen him 3 times, All 3 visits have been great and the adjustments had me feeling SO much better all around (it had been awhile since I’d seen a chiropractor!). He knows his stuff and he’s going to be upfront with you about it, I appreciate that. I will definitely be going back, he and his staff are great! I just went for my first ever Chiropractic visit – so maybe they’re all this good? I can say I took an Uber cab the 10 or so blocks to get to Dr. Farah’s office – and I very nearly skipped my way back home. He did a great job of explaining what he was doing, what had gone wrong, and he joked about how he would probably never see me again since he was going to fix the problem once and for all. (Of course, that’s particular to my actual problem here, others will not be so lucky). I can’t speak to any other Chiropractors, since I’ve never been to them. But this visit was absolutely top-notch and I came in there feeling like garbage, and left feeling like a million bucks. That is 1000% worth it in my book. I mean I had my first session today and I can honestly say this guy truly deserves all his 5 star reviews, if anything Dr. Farah deserves more! His humor + carefree attitude makes your session even more enjoyable (on top of feeling 100% better!). Yes, being put in weird positions can be awkward but he makes you feel very comfortable. He responds quickly via email, but had forgotten to check my insurance so I had to follow up. Not a big deal at all, but he greeted me w/ a “glad to finally get you in here!” high five, I’m loving his bedside manner already! He really knows different needs of different athletes & dancers. I’m a dancer, and he even took the time to me show me the movements that affect you per style of dance. He truly took his time, I didn’t feel rushed. I arrived a little late because I had underestimated my time to get to his office. His front staff was understanding and nice. He has very flexible payment plans from what I’ve seen. And the best part of all he said I can continue my training + workouts. Go visit Andre today! I went to Dr. Farah after reading the other great reviews of him. I had a bad fall in April that left me with a possibly torn rotators cuff, and neck and shoulder pain. On top of that, I suffer from migraines and vertigo. I finally decided enough was enough and needed see a chiropractor. I went to Dr. Farah’s office without an appointment and was seen shortly after arriving. He was very personable and made me feel very comfortable. He was extremely thorough in his explanation of what was going on with my body and what he was going to do for me. He performed an amazing adjustment that instantly made me feel so much better and then referred me to the massage therapist on staff. She was also amazing at what she does and explained everything and answered all my questions. I go back next week for more adjustments and massages, and may also be seeing the physical therapist on staff. It’s like one stop shopping for all your body’s needs! I can’t say enough good things about Dr. Farah and his staff. Everyone at the office is extremely helpful and kind – it’s always surprisingly fun to go for an adjustment. Dr. Farah is very good at what he does, and my back pain has improved quite a bit since I’ve been going to his office. He’s also very patient, personable, and will explain everything that he does. I was trying to come up with something negative to say to offset all of the positivity, but I really can’t think of anything. The whole experience is really great. Dr. Farah is awesome. And I mean that in the Awe Inspiring kinda way. I called him on a Saturday for a bad pinched disc in my neck, and while he wasn’t available on the weekend, he came in early to work on me on Monday morning. He’s funny, very skilled as a practitioner, obviously knowledgable about what’s happening, especially since I was in pain and panicked about that. He told me straight out that what he was abe to do wasn’t a magic wand, and these things heal slowly. No magic or hocus pocus, which is usually what keeps me away from “alternative therapies”. And he told me that as soon as I went back to work and repeated the thing that I do all day, it would hurt again. Sure enough, he was right, and I was back in his office this afternoon. Even with a packed house, he took a LOT of time with me, and told me to come back again THAT DAY to make sure he did everything he could for me. He’s got hands like a bear, a great demeanor, a lovely staff, and seems to be able to joke with everyone who comes in the door, even the ones in obvious pain. The guy rocks, and I heartily endorse his services. No hippie juju was cast to make me write this review, even! I woke up with awful neck pain (so bad that I could barely get out of bed), and Dr. Farah fit me in immediately that morning. The receptionist was really nice and even remembered me the next day when I called to reschedule an appointment. I also saw Dr. Sofia for acupuncture later that day and then Dr. Farah adjusted my neck again. I was 70% better after just those sessions that day. Bottom Line: I went in without an appointment and could barely walk. Within an hour I left walking straight without pain. Dr. Farah is a life/back/neck saver! Professional, gentle, funny and he cured the worst headache of my life by putting my errant vertebrae back into place. Thank you, thank you! Please use any or all of these topics to tell others about your experience at Astoria Chiropractic. Did Dr. Farah help you? How did he help you? 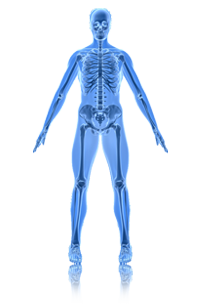 How was Dr. Farah different than other chiropractors, doctors, practitioners? Did he spend adequate time with you? Was your opinion about chiropractors changed by Dr. Farah? What do you think about chiropractors now? Do you think all people should have access to chiropractic? 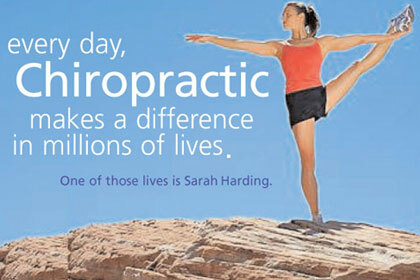 Would you tell people about chiropractic and Dr. Farah? Please include a photo of yourself if you would like your testimonial to be featured on our site. Best Chiropractor in Astoria | Copyright © 2013–2019 AstoriaChiropractic.com All rights reserved.